Wow! 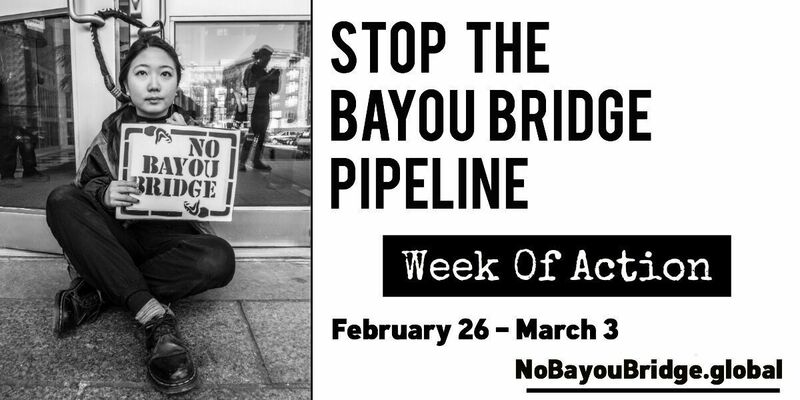 There has been SO MUCH happening this week on the fight to stop the Bayou Bridge Pipeline (#NoBBP) this week (and other stuff too). Here’s a quick roundup of just SOME of the week’s events, and a reminder that it’s NOT TOO LATE to plan an action at a local bank branch, ACOE office, or another target in your town. 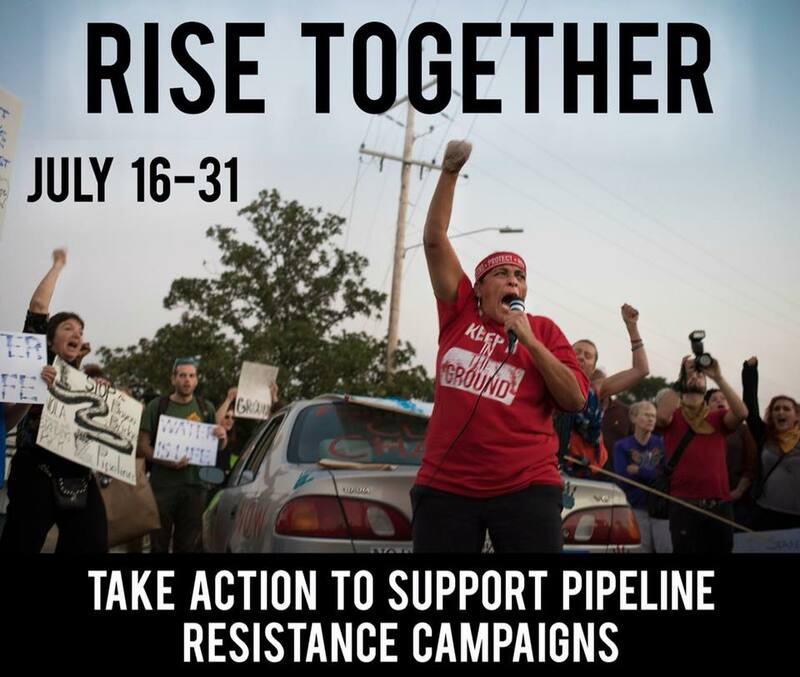 As a reminder, this week (Feb 24-Mar 4) we’ve all been asked and invited to host actions in solidarity with the L’eau Est La Vie Camp in Louisiana. 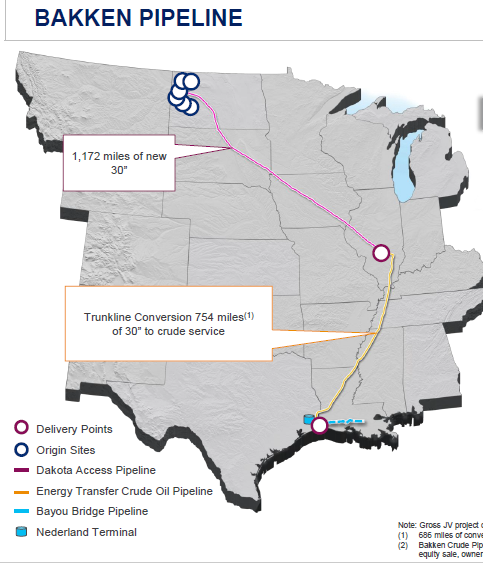 That’s the base-camp for resistance to the Bayou Bridge Pipeline (BBP), and you should definitely check out their Facebook page for lots of updates. 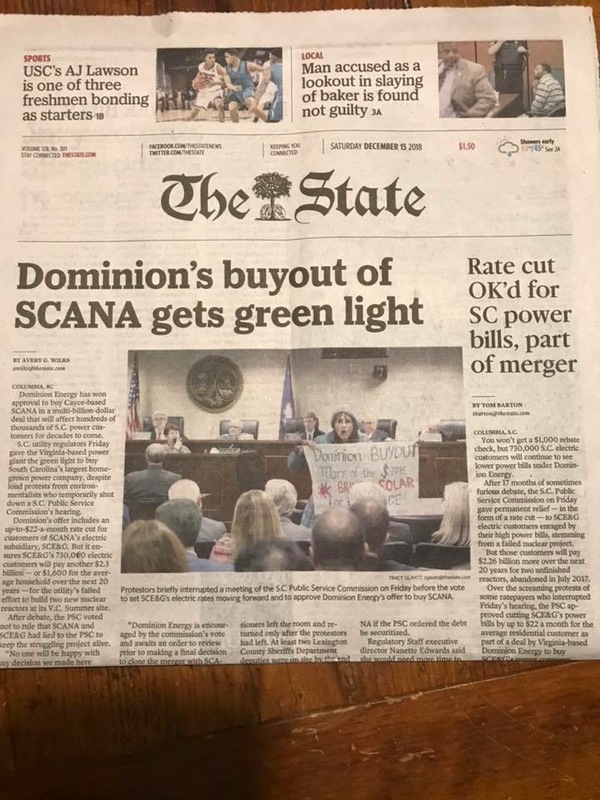 The week kicked off with an action in Louisiana led by LA bucket Brigade, 350 NOLA and other local groups and activists. 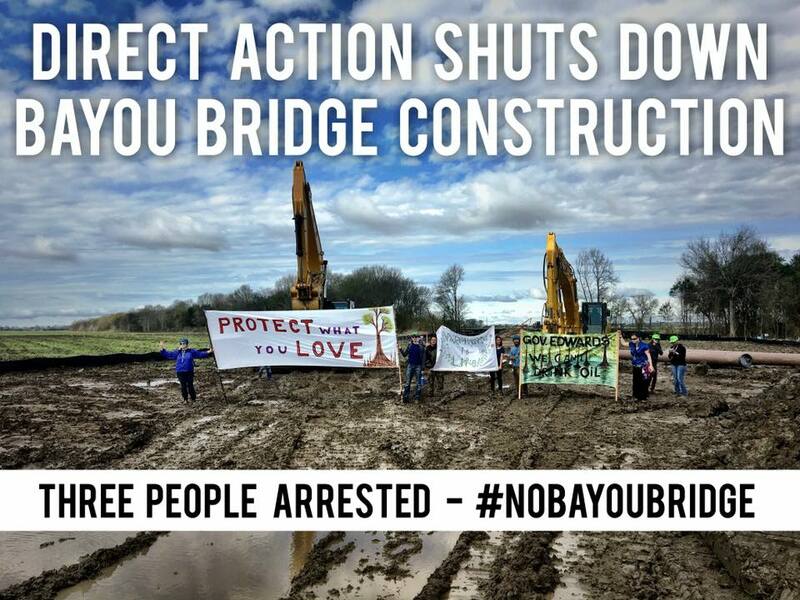 They shut down the construction site for most of the day, and three people were eventually arrested for refusing to move out of the way. Here’s a live stream from part of that action. Those three activists were released later the same day. You can chip in to support their legal support fund here. A big focus of the LA activists has been training people to monitor the pipeline construction for possible violations of their air, water, and other permits. 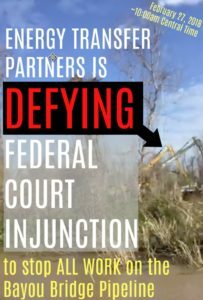 As it turns out, a court injunction late last week was supposed to stop construction on the pipeline, at least in the Atchafalaya Basin. But on Tuesday morning, a boat full of pipeline monitors saw the company (the notorious Energy Transfer Partners, ETP, the same company behind the Dakota Access Pipeline and many other environmental atrocities) working on the route with heavy equipment. 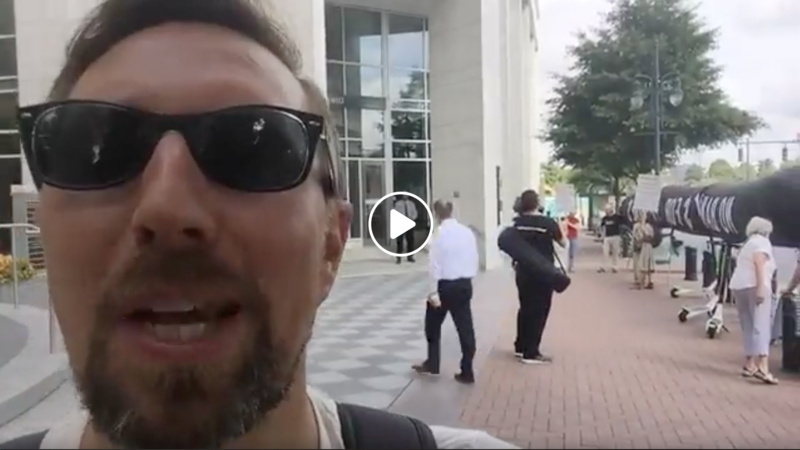 Monitors called in the observed violation to local police and legal observers, and the court wrangling is continuing all this week. Just TODAY, March 1st, there is another action at the Governor’s mansion to reveal documents that show collusion between the LA government and ETP. But it’s not just going down in the Bayou. 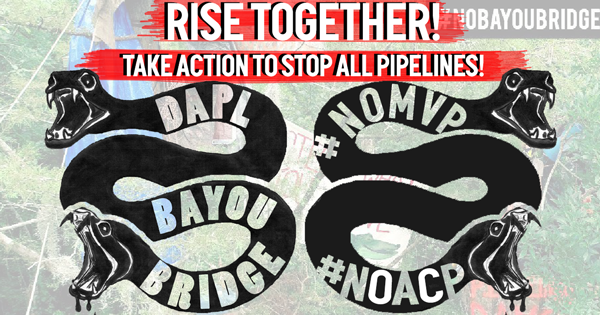 In solidarity with the L’eau Est la Vie Camp and all the water protectors in Louisiana, activists have been taking actions to target the major financiers of the BBP – banks like Wells Fargo, investors like Morgan Stanley and others. 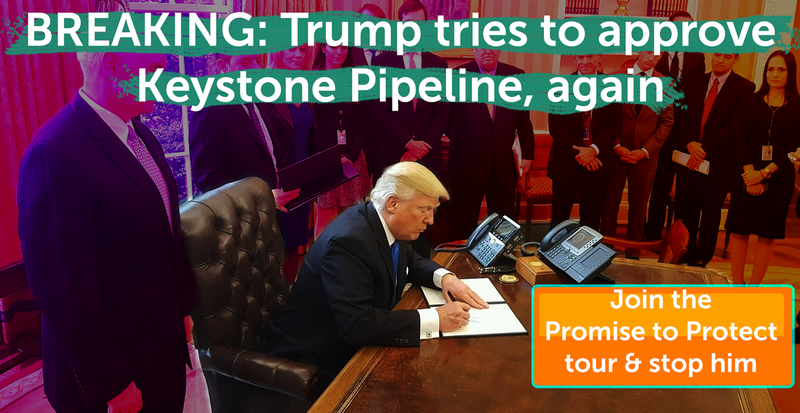 These actions are an extension and continuation of the #DefundDAPL and #DefundPipelines actions many of us took last year in solidarity with the Standing Rock protest encampment. And there have been lots of others – in Connecticut, Virginia, California, Washington and all over the country. 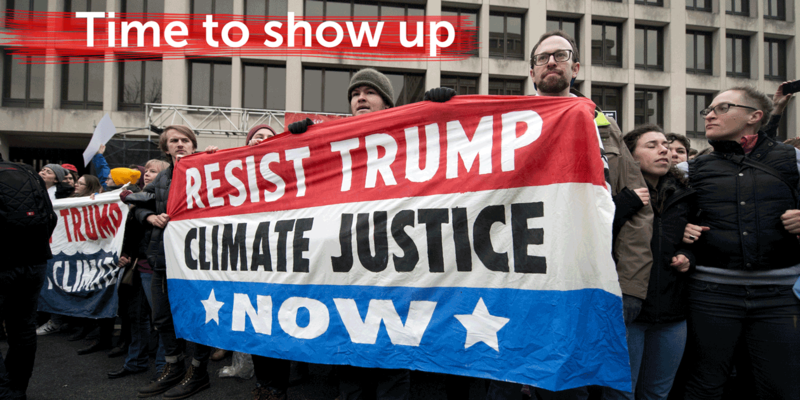 And it’s not too late to join or host an action this week. Grab a few friends this weekend, head down to a local branch of one of these banks, and make some noise! 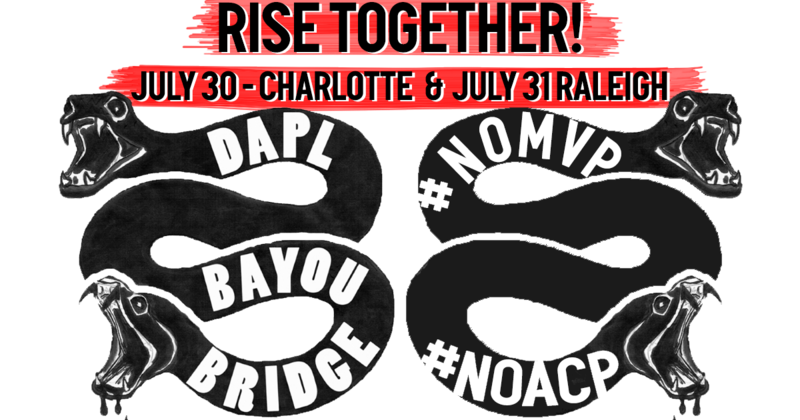 You can hand out flyers, encourage people to close their accounts, and tell the story of the #NoBBP resistance all over the country. 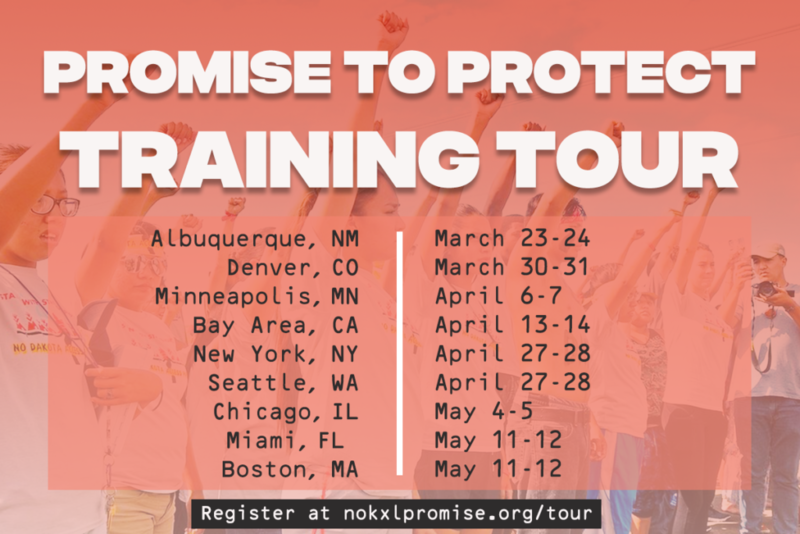 If you register your event on this map, we’ll help support you by inviting activists who live nearby and sharing and amplifying your message on social media (check out those posts above, they’ve reached tens of thousands of people).